The following is an overview of some of the more commonly requested public records resources in Ohio. The state has a very fragmented system of handling and providing access to public information. There are very few resources that provide data on the entire state. In most cases, public records can be accessed at the local county level. Birth and death certificates may be obtained from any city or county-level Vital Statistics Office in Ohio, no matter where the event occurred. The only exceptions are sealed adoption records, which must be obtained from the State Department of Health Vital Stats Offices in Columbus. Birth and death records may be ordered by mail, in-person or online. Columbus Vital Statistics Offices do not maintain statewide databases that contain Ohio marriage or divorce records. But these same documents can be obtained directly from local county offices where the event occurred. Ohio marriage records are kept by the County Probate Courts that originally issued the licenses. Divorce records are on file at County Clerks of Courts Offices throughout the state. If you are looking for historical information, the State Vital Statistics Offices also provides access to a statewide Ohio Marriage Index with records dated from January 1, 1954 to the present. 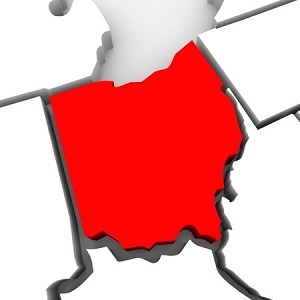 For further assistance with determining which county in which a marriage or divorce occurred, contact the State Vital Statistics Office Customer Service Department at 614-466-2531. Tax records for personal and real properties are maintained by each County Assessor’s Office. Most Ohio County Assessors maintain publicly accessible online databases that may be searched by owner’s name, street address, parcel number or sales price. Some County Assessor’s websites require registration to access records online. You may find a complete alphabetized list of contact data and direct links to Ohio County Assessor’s Offices online. Although state law restricts access to over two dozen types of court documents classified as confidential due to potential violation of personal privacy or public safety endangerment, most are available online. To save time, note that Ohio’s court system has five separate levels, all of which deal with both civil and criminal matters.